Liganova, a retail branding company, has worked with some of the top retailers in the world to include Adidas, Tommy Hilfiger, and Mercedes-Benz. 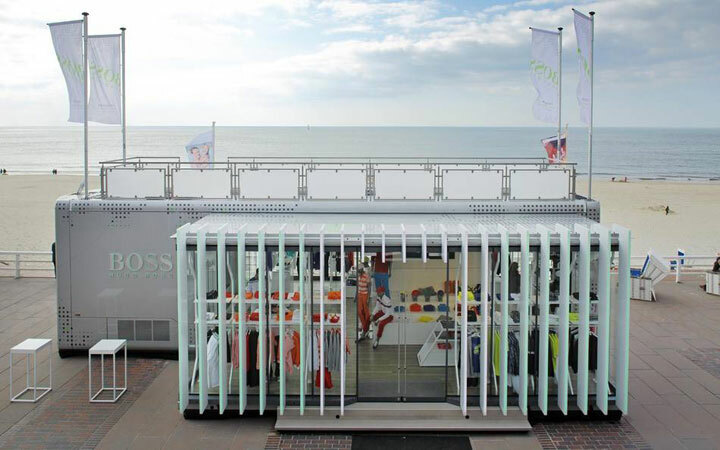 The company, back in 2012, was responsible for designing and producing a mobile store for HUGO BOSS. 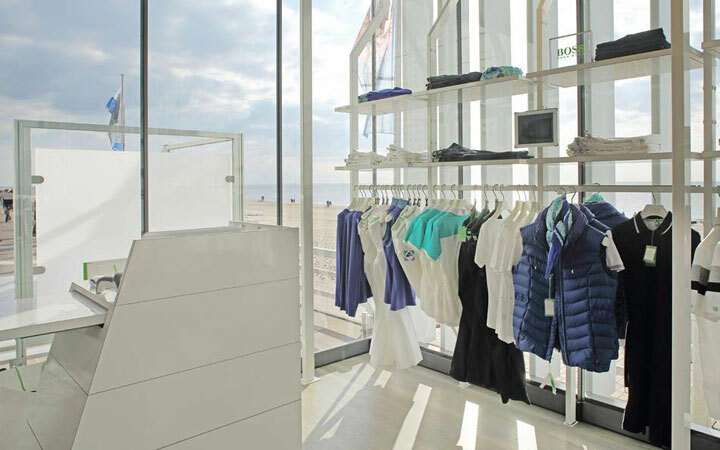 The truck-based retail unit promoted the company’s “BOSS green” collection, which featured active golf sportswear. The mobile store made its way through European cities for five years. For this, the design employed a series of custom slats for the exterior that were stable, low weight, and flexible. During the day, the slats opened and allowed a heavy influx of natural light to bounce off of the reflective white interior. Additionally, the slats were created with integrated RGB strips on the outer edge that enabled iPad controlled lighting to further entice passersby. The green LEDs, which contrast the bright white design, create a visual representation of the BOSS Green brand.